Most CEOs get a few years to execute a turnaround for their company. That might not be the case for HP CEO Leo Apotheker, as Bloomberg and AllThingsD are reporting that the HP Board of Directors is meeting and on the agenda will be discussion as to whether or not they should keep Apotheker on the company payroll. Apotheker was brought to HP less than a year ago, replacing the recently-ousted Mark Hurd and setting HP down a path of enterprise software and services. Since then, HP's stock has dropped over 40%. The HP board is said to be considering former eBay CEO and former California gubernatorial candidate Meg Whitman for the job. Whitman would bring more than a decade of CEO experience to HP, and though her record at eBay is mixed (she lead the company through its IPO and explosive growth, but also greatly overpaid for Skype), it's certainly better than the failed year-long stint as SAP CEO that Apotheker brought to HP. 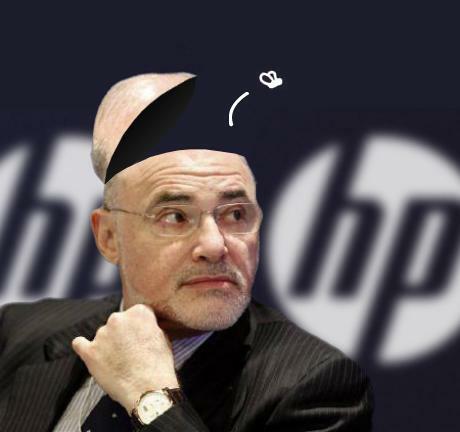 The moves that HP has made under Apotheker's leadership have been widely criticized by the media, consumers, and (most importantly to HP's board), investors. From spinning off or selling HP's consumer computers division to shutting down webOS device development just six weeks after the TouchPad's launch because getting to #1+ would cost too much, Apotheker's leadership has been called into question since the beginning. Of course, there's also HP's sagging earnings and plummetting stock price. There's no telling what exactly would happen if Apotheker was removed by the board (emphasis on if - this is just a proposal before the board, but considering the stock price, they'd be foolish not to act on it), but we'll offer Whitman or whoever hypothetically replaces a hypothetically-fired Apotheker a bit of advice: undo the damage before it's too late. HP can be both consumer hardware and enterprise software. Fire back up the webOS hardware development, rehire those just laid off, apologize for the scare, and take the market by storm. Use that HP scale and power. If anything, it's clear the investors like the idea of this rumor: HP's stock has jumped more than 7% as of this writing.